Since our founding in 2010, one mission of Skagit Valley Malting has been to develop “non-commodity” relationships between farmers and brewers/distillers. A key part of building these relationships is a dedication to exploring different varieties of barley for malting. This may not sound all that radical, but as the vast majority of malting is done with AMBA approved grains, building a malthouse around under-explored malting barley varieties had never been done before. The American Malting Barley Association’s (AMBA) mission is too “encourage and support the production of an adequate supply of high-quality malting barley for the malting and brewing industry and increase our understanding of malting barley. Our vision is to be the leader in improvement, development, and understanding of malting barley in the US.” Without AMBA, the landscape of the malting industry might look very different today, and the US would likely not be able to produce enough quality barley for brewers and distillers. This system allows malthouses to pull in uniform grain from many different growing regions that can then be malted in a central location. Their efforts are built around homogeneity and sameness. Which is why it’s repeatable at the scale that is required to supply big-beer. We do things a little different at our malthouse because we are sourcing our grain from our coastal growing region while exploring barleys of distinction that add new and exciting opportunities in sensory and/or functionality. We don’t require sameness; we’re after variety and uniqueness. 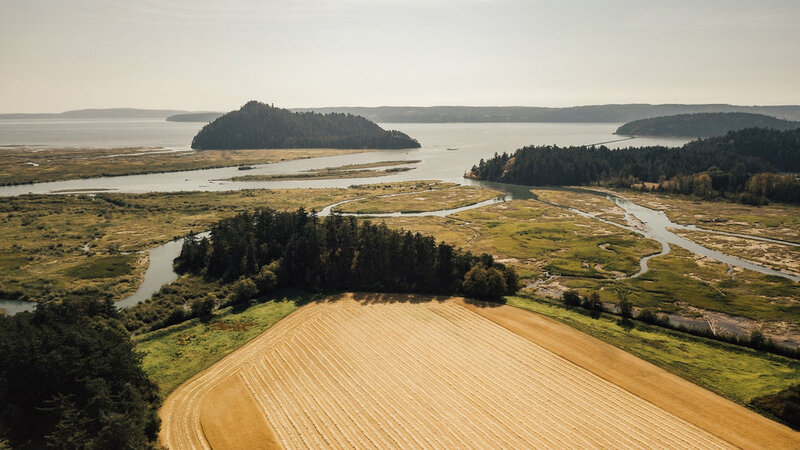 Skagit Valley is a maritime climate, and what grows well for the rest of the continent might not be the best fit for our valley. Our varietal exploration provides an opportunity to benefit the farmers with great crops while also discovering what varieties of grain make the best styles of malt for our customers. We are able to accomplish this exploration for several reasons. First, we have amazing farmers who are not only partners but also our neighbors. Their farms are just a short drive from SVM, and we take pride in sourcing over 95% of our grain from within a 12-mile radius of the malthouse. Another reason this mission is possible is our patented technology. We can put any barley, provided it’s malting quality, through our system and tailor the process to the unique needs of the grain. With five machines up and running, we could malt five different pilsner malts using five different varieties all at the same time. By the end of the year, we will have nine single vessel malting machines, and our ability to explore and create will become even more flexible. Single Vessel Malting technology is the key that unlocks the exploration of grain varieties. Skagit Valley Malting is on a mission to develop the West Coast's best pilsner malt. Over five years of malting, we have made hundreds of pilsner malts with half a dozen varieties of barley. We are constantly looking for new varieties that elevate beer and bring forth the truest flavors of each particular style. That is why we currently have eight test plots for new winter varieties of barley and at the beginning of April, we will plant 12 varieties of barley in our test plots. We will continue to explore varieties and how they perform as pilsner malts and other malt styles. Join us in discovering the best pilsner malt ever made. But pilsner is just the start, eventually, all malt styles we produce will have a best-fit varietal expression to highlight that malt style… while still providing multiple varietal options for brewers that fall in love with any one of the varieties we have grown for us. That is the great part of working with Skagit Valley Malting – options and flavor profiles the brewing/distilling community has never had access to before!